The C3 Team is trained by renowned customer service consultants from around the United States. The C3 Team is known for excellence in product, service, and presentation. Being a part of the C3 Team affords its members an exceptional training opportunity that will positively affect their career development for years to come. 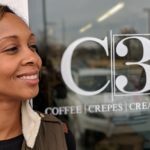 The C3 Team is currently looking for members who can personally connect with, laugh with, and uplift the lives of others on the team and the customers that are served. We believe passionately in our products and the C3 brand, and are looking for people to continue to build on our tradition of excellence. 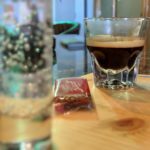 If this describes you and you are an energetic self motivated person who has a desire to work in Concord’s premier upscale Coffee|Crepes|Ice Cream Shop please click the link below to print instructions and an application.